I kept on, each level adding a new kind of enemy or demanding a different approach. 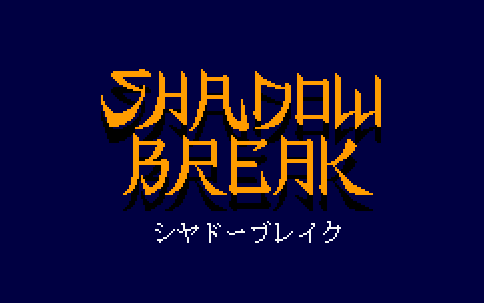 As I fought the first boss, I realized that Shadow Break was a strange new mixture I'd never seen before. The near-audible 'click' in my skull brought to mind the first man who made Cookies & Cream a household flavour (Huggs McShane, 1978 incidentally). This was something new and special. Soon I was sweating over every hitpoint, knowing I would need them in the trials ahead. Sure enough, every five levels gave me another boss with a smart thoughtful spin on the gameplay. 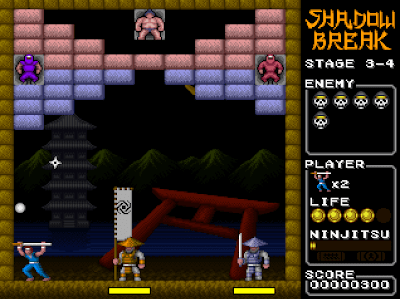 Then the regular enemies became a grave threat; sumos flattening me with their great weight and ninja dogging my footsteps with their shuriken. The game became so intense, it didn't take long for it to escape my (sadly limited) reflexes even on Easy. I restarted again and again (thankfully you may continue from any level), each time discovering a little more (the use of flame dash, the timing of freeze while dodging, attacking the ball, etc). The learning curve was long and unexpected for such few and simple game mechanics. Even at the final boss, I was still improving my skills (the game has 25 levels). He of course stomped me repeatedly, but Ortoslon came to my rescue with his one-life Normal run (which you can watch below), showing me some sorely needed tricks to improve my end-game. I didn't sigh with relief when I'd finally won. 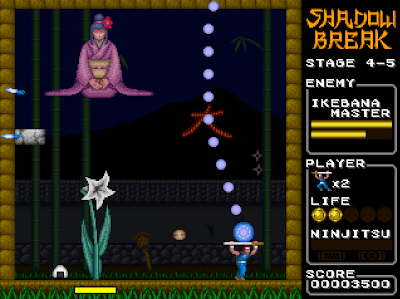 My head was too busy spinning as I thought of all the possible moves, enemies, and powerups; how deep was this well? It's rare for my grizzled brain to stumble upon a new genre-blend I find so compelling that I daydream of sequels in my head. Ah well, we probably won't get one, but whatever Bunaguchi does next I'm excited for it. Download the game here (from Vector). 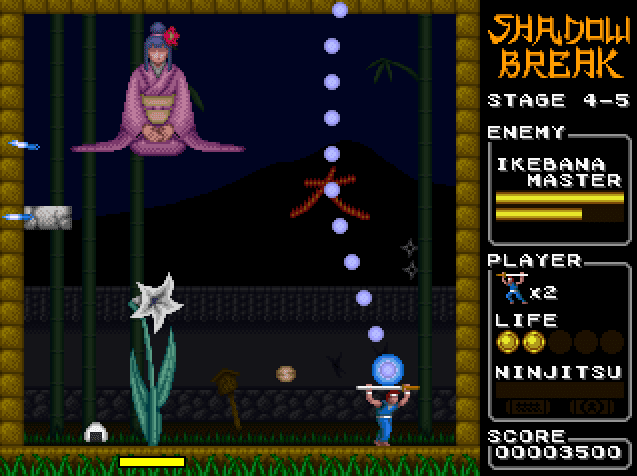 Or alternatively, download the game here (mirrored on the RGCD server).